Wind knocks over a light post in Virginia. 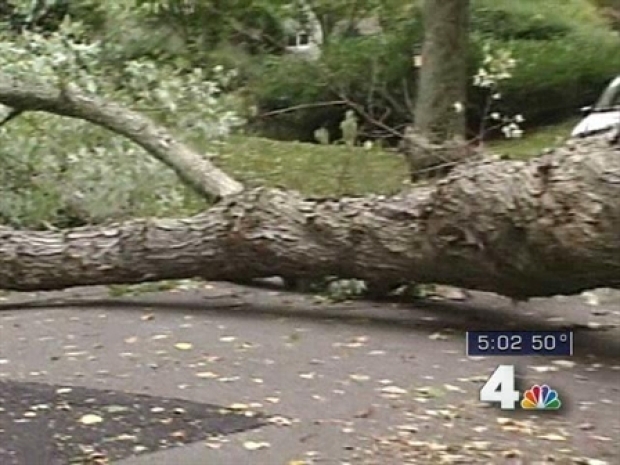 Strong winds caused damage throughout the D.C. area Tuesday. The National Weather Service issued a wind advisory for the area until 2 a.m. Wednesday. Gusts of 45 to 50 mph are possible. As of 5 p.m. Tuesday, gusts from 20 to 35 mph had been reported. Several trees have fallend down in the area. In a Virginia parking lot, an old light post fell and damage a couple of cars. Rain also is possible, possibly causing hazardous driving conditions.